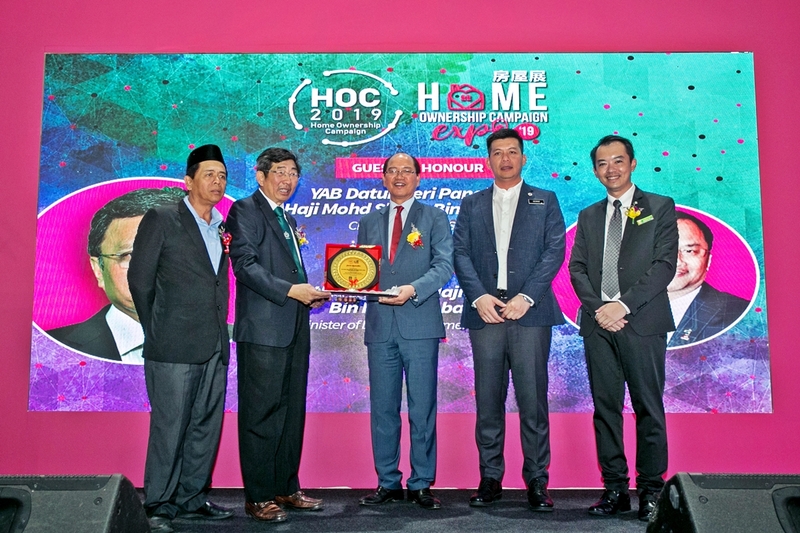 The Home Ownership Campaign (HOC) 2019 is an initiative by The Honorable Tuan Lim Guan Eng, Minister of Finance to promote home ownership in Malaysia. The campaign is expected to run for a limited time only, and during this period a series of incentives are being introduced to encourage house purchases. The key real estate associations such as Sabah Housing and Real Estate Developers Association (SHAREDA), Real Estate and Housing Developers Association (REHDA) and Sarawak Housing and Real Estate Developer Association (SHEDA) are tasked to execute the campaign and created awareness for the public. WHAT ARE THE INCENTIVES DURING HOC? Developers are required to offer a minimum discount of 10% from its APDL (Advertising Permit and Developer License) approved price. 100% stamp duty exemption on the instrument of transfer for residential units valued at RM300,001 to RM1 mil. For units ranging from RM1,000,001 to RM2,500,000, buyers will only pay 3% stamp duty. 100% stamp duty exemption on loan document for property valued up to RM2.5 million. Major banks are offering special home loan package in conjunction with the campaign. Really, all Malaysians are eligible. It is not only open to first time home buyer, but also to investors who have multiple properties. However, foreigners are not entitled to the HOC incentives, that includes joint name properties where one of the owner is a foreigner. The campaign started on 1 January 2019 and will end on 30 June 2019. Only new residential properties purchased directly from developers with APDL (Advertising Permit and Developer License) are eligible for the HOC incentives. Commercial properties are not eligible. However, hybrid property types such as SOHO may be eligible provided it has an approved APDL, and is for residential use. Shoplots, offices and land are not eligible. Total saving achieved is RM61,250 when purchased during HOC. [For Developers] Circular to SHAREDA members for registration of HOC entitlement. I have signed an SPA in January, and I have paid the stamp duties on Instrument of Transfer and Instrument on Loan Agreement. Can I get a refund? Yes, provided that the 10% discount is reflected in the SPA and the developer registers the project/unit with SHAREDA, REHDA or SHEDA for HOC. What if the developer did not give me a 10% discount? Not all residential projects/units by a developer are required to register under HOC. As such, we advise that purchasers speak to the developers involved for clarification before proceeding with your purchase. Are there any fees that purchasers need to pay to be able to buy a house under HOC? No, purchasers are not imposed with any fee either by the developer, SHAREDA, REHDA, SHEDA or the Government. Only developers are imposed with the registration and certification fees. Can I purchase under a company name? No, purchases are for Malaysian individuals only. Can I purchase more than one residential unit and get stamp duties exemptions on all of them? Yes, you may purchase more than 1 residential properties and get exemption on all provided all the properties fulfills the criteria stated above. Am I entitled for the HOC waiver if I purchase a house from my friend (secondary market)? No, the stamp duty waiver is only applicable for residential properties purchased from a developer (primary market) that are registered with REHDA, SHAREDA or SHEDA. Please list down your question below and we will revert to you as soon as we can.